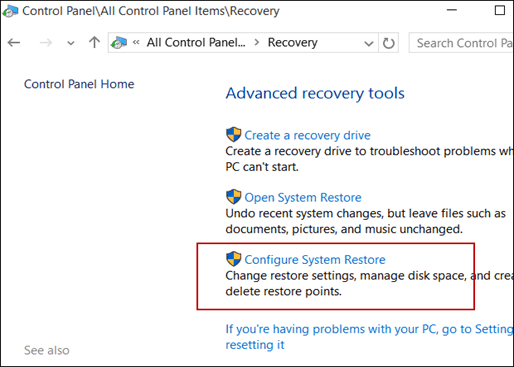 System Restore is a utility that still exists in Windows 10 and is important to have if something goes awry with your system and you need to get it working again. Windows 10 has a lot of new features, but many of the old tried, and true system tools still exist. 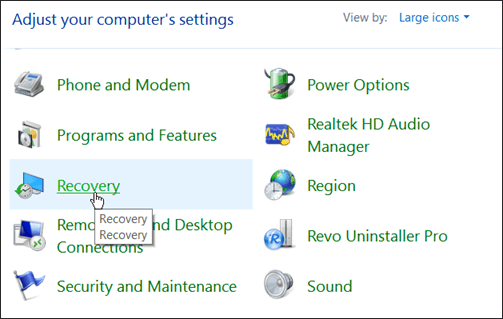 System Restore is one that is still here – and an important one to have if something goes awry with your system and you need to get it working again. 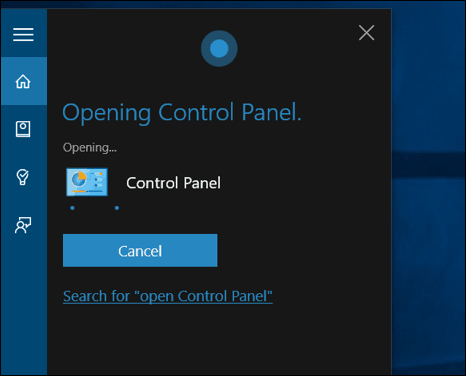 Now, you could get to System Restore (System Protection) section the usual way by opening Control Panel with your mouse or keyboard or have Cortana do it for you. Hey, why not start using the cool features in Windows 10? Launch Cortana and say: “Hey Cortana. Open Control Panel,” and it will respond, and you should see something similar to the screenshot below. Control Panel will open and from there select Recovery. In the next screen select Configure System Restore. Or, if you just want to get right to it, type: restore point into the search field and hit Enter. Whatever route you go, it will bring you to System Protection. Click the Configure button. Next, you may need to turn on the System Restore utility. It’s usually turned off by default on a computer with Windows pre-installed; in that case, the vendor used its own version of backup software. From here you can also manage the amount of space it uses. If you have a smaller drive, you might want to turn it down a bit. Now that you have everything set up click the Create button and follow the onscreen wizard to create a restore point. The process is the same as it was in Windows 7; you can see a video of how its done here. Microsoft is running Windows 10 as a service, and you will be required to install all Windows Updates. It will do this automatically behind the scenes. An update could cause a problem with your hardware drivers, or conflict with software and make Windows 10 crash. So, at the very least, make sure to enable System Restore, and Windows will automatically create a restore point before installing the updates. Then you will be able to easily recover your system to a point where it worked before the update caused problems. Also, Microsoft released a utility to hide updates, so they don’t automatically install. For more on that, read our article: Block Automatic Windows 10 Updates and Driver Updates (KB3073930). Many people bag system restore but on numerous occasions it’s got me out of hot water. Great to see Win 10 keeping this feature. System restore is often maligned but it has gotten me out of numerous disasters and hence I’m pleased to see it retained in Win 10. I use Glary utilities to keep these under check and Ccleaner to remove old unwanted system restore points once I’m satisfied that the machine I’m on is behaving. 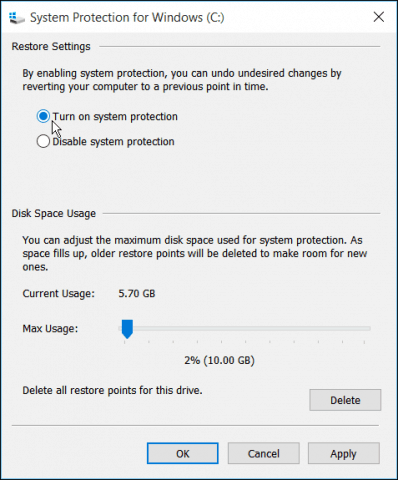 One thing to note is that unless you give adequate storage for the restore points Windows will delete older restore points in order to create new ones. I’ve allocated 9 gig in order to stop this somewhat annoying feature. P.S. Great to see all the informative articles of late on the new operating system here at gpost and I can’t wait for the official release to the market version on the 29th July. please help me with this restore point? are you there?? 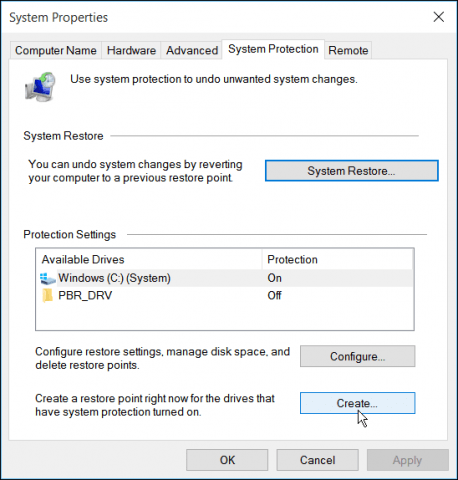 I’ve enabled system restore on window 10 and manually created a restore point – Thank you. However windows 10 just performed a cumulative update today (which seems to work fine) but after checking system restore, there isn’t any automatic restore point created for the update, only my previous manual creation. Is there another setting I’m missing? I’ve checked around but don’t see anything. system is giving me. Any chance you could walk me through creating a manual restore date? i’ve allocated 10gb so I know that’s not the problem. Please help can’t turn on system protection it’s just grayed out and not giving me a option. Thank you, I have created a restore point. However I don’t see a date and wouldn’t like to use it without knowing how far it backdates to. I’m probably missing something simple – could someone please tell me where to find the dates? The System Protection feature will be silently disabled and the restore points deleted if you run low on disk space on the drive. And to make it even worse, there is no obvious notification to the user. I determined this through experimentation and can recreate it. Both Windows10 and Windows7. Nice job Microsoft…. 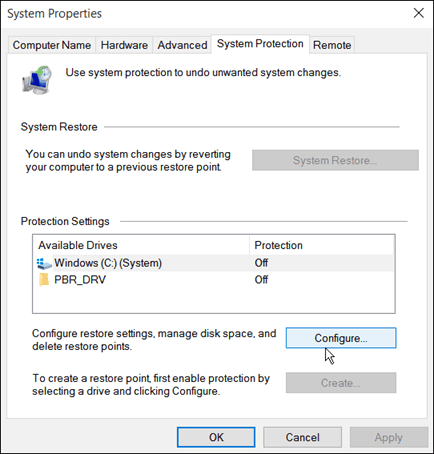 Contrary to previous Windows systems, in win10 you delete ALL old restore points, including the most recent one. There appears to be no option to save the most recent restore file if you want to clean up your disk. So before removing old resore points, be sure to create a new one. I clicked on all the steps but nothing to happen. Am I suppose to be on a different page.